I have been working with Facebook Watch, ITV and my Executive Producer John Cena to launch my new TV show and prank series, Double Take, on Facebook Watch! You can tune in on October 24th HERE to watch John Cena and I give his biggest fan the experience of a lifetime in the first episode. In each episode of Double Take, I team up with your favorites celebrities to give one adoring fan the surprise of a lifetime: meeting and interacting with their idol in a range of crazy circumstances, BUT- I have hypnotized their fan not to recognize them. No disguises- just the power of hypnosis! by clicking this link. Drop me a comment if you hit follow- I wanna hear from you! John Cena is not just a WWE star but has become an actor and producer in his own right thanks to his production company- Hard Nock South Production. Cena is an executive producer of Double Take, and stars in the first episode alongside his biggest fan! Viewers can expect surprises left and right- the episode takes place at Magnolia Bakery in Los Angeles. What will Cena do when he comes face to face with his BIGGEST fan that does not recognize him? Tune in on September 5th to find out! Other celebrities that will be featured In Double Take are below- who are you excited to see? 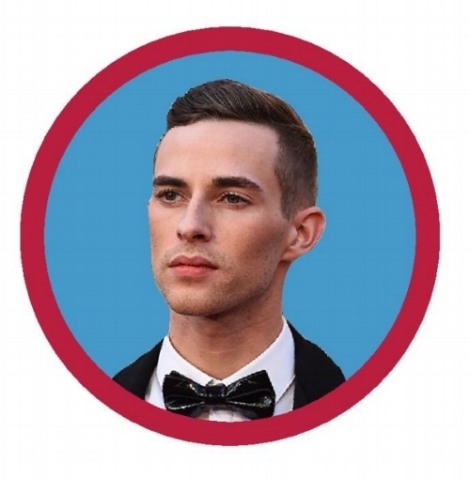 Adam Rippon is an American figure skater well known for his Olympic bronze metal win as the first openly gay athlete to compete. Rippon's wit and humor have won over America's hearts and he is a frequent guest on Cosmopolitan and Glamour. Gabriel Iglesias, otherwise known as "Fluffy," is an American comedian, producer and voice actor. Iglesias is an avid VW collector and houses a "VW Museum" in California. He is consistently seen in movies, TV shows and voicing characters worldwide. Steve O is known for his quick rise to fame on YouTube, eventually landing him on Jackass. He is an American stuntman, actor and producer. Steve recently rescued Wendy from Peru and continues to work for animal rights. NeNe Leakes is the star of Real Housewives of Atlanta and founder of NeNe Leakes productions. Fans love NeNe for her quick comebacks and sassy remarks, making her a household name in the US. Pamela Anderson, blonde bombshell, joins Chris on Double Take. Anderson is well known for her role on Home Improvement alongside Tim Allen and Baywatch. Anderson is an adamant animal rights activist and has made great strides to bring animal rights around the world. How many takes does it take to make double take?